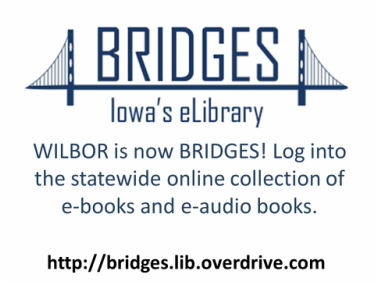 Check out our great FREE service--BRIDGES--downloadable eBooks, audiobooks, and videos! Click on the above to get started! enter our catalog to "Like" us on Facebook! Our library has FREE WiFi service--just ask us for the password! PASSWORD: Ask for the password at the front desk.